VCommission - Affiliate CPA network reviews and details. vCommission is the first International CPA Network based in India with the aim of leading quality traffic for performance-based advertising worldwide. The network now consists of 17,500 affiliates and still thrives. With 17 years’ experience, vCommission is proud of its advertising experts who have been constantly providing utmost support and top-class user experiences. Publishers using vCommission are assisted to maximize revenues from exclusive and innovative campaigns and reassured with high-quality performance. The network is also powered by HasOffers, a tracking platform providing publishers with a simple and unique UI. At vCommission, tools are built on a basis of cutting-edge technology to leverage publisher’s experience. vCommission has gained the trust of over 17,500 publishers and now YOURS. Monetize your website NOW with India’s most reliable affiliate network! You can check vCommission reviews and Offers on Affbank and ask vCommission Team any question by using the contacts above, especially about how to earn money! 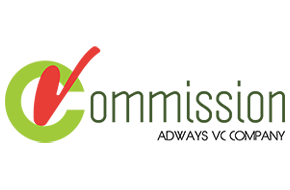 I started with my Affiliate marketing journey just 6 months back and a fried of mine had suggested me to start with Vcommission. Since then I continue to work with this network as I made my first mula $$$ online with them. So here's my honest review and experience of this network:Support: 5/5 I still remember signing up for this network in the morning, getting a call by their representative in the afternoon (who later became my account manager) and starting my first test campaign by night! I am really impressed by their support as they are happily available via phone, skype or even whatsapp!Financial Viability: 4/5 As a newbie affiliate with just 6 months of experience , I can say that the offers they have are financially viable and one can easily make 3-6x ROAS depending on the type of offer. (Tip: Being open with the account managers about your traffic source and your expertise can help them suggest the right profitable offers for you)Offers Quality: 3/5 Vcommission being India's Top affiliate network so far has a lot of CPS offers of big brands. They also have worldwide offers for CPS, CPL,CPI,CPV, CPA. Unfortunately 90% of their offers are whitehat and they lack pay per call offersOverall , I can say that anyone wanting to start with whitehat CPA offers with good support and easy to use dashboard interface can try out Vcommission.